WELCOME TO CLEARANCE AC, INC.
Clearance AC takes great pride in helping customers find the right product for the application of choice. With our many quality choices of Mini Split Air Conditioners, Through the Wall Air Conditioners, Ceiling Cassettes A/C Units, and PTAC systems; we are certain we can find the right cooling system for your application. 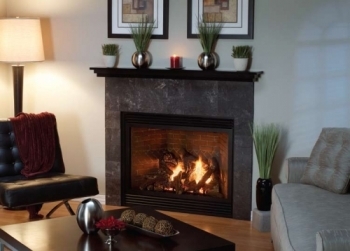 Also, search our site for excellent product like our Empire furnaces, heaters and gas fireplaces. By clicking on our "Accessories" tab you will find everything necessary for installing your new air conditioner or heater. Refrigerant Line Sets, Installation Kits, Condensation Pumps and Low Ambient Control units can be found under the "Accessories" tab. Every item Clearance AC sells is factory new and can be shipped from one of our warehouses in Los Angeles or Minneapolis. All shipment travel by semi-trailer and are lowered to the ground with residential lift gate systems. Semi-trailers are the safest means of transportation and gives the customer the opportunity to view the product before acceptance. This guarantees the customer receives the correct product undamaged and safely at your residence. Clearance AC has the leading warranty in the industry with (5) years on all of its compressors, (1) year on all other parts and (1) year labor allocation with professional installation. All warranty claims and additional parts are processed and shipped from our headquarters in Minneapolis, Minnesota. Products ship next day direct to your home or office. All items are shipped via semi-trailers with lift gates so products can easily be lowered to ground level. Customers can easily contact one of our customer service representatives by clicking on the "Online Click Here" button in the upper left hand corner of our website, enter your name and email address to start typing a conversation with one of our representatives. If you would like to speak directly with a customer service representative please call toll free (800) 961-7123 or (952) 292-2602. If we are helping other customers or it is after hours, please leave a message and we will contact you as soon as possible. Thank you for visiting Clearance AC. We appreciate your business.